Welcome to lesson 4 ‘Request Fulfillment’ of the ITIL Intermediate OSA Tutorial, which is a part of the ITIL Intermediate OSA Certification Course. This lesson is about request fulfillment and its features. Explain the request fulfillment process and how it contributes to OSA. Understand the complete overview of the objectives, scope, and importance of request fulfillment as a process to generate business value. Explain the policies, principles, concepts, activities, methods, request models and techniques in relationship to OSA practices and information management. Discuss the metrics used in request fulfillment. Let us learn about the purpose and objective of Request Fulfillment in the next section. You too can join the high earners’ club. Enroll in our ITIL OSA Course and earn more today. Let’s look into the scope of request fulfillment in the next section. The process needed to fulfill a request will vary depending on exactly what is being requested. In some organizations, the service requests will be handled through their incident management processes. However, this may not always be appropriate as an incident is usually an unplanned event whereas a service request is usually something that can and should be planned! It may be appropriate to handle service requests as a completely separate work stream, particularly if the organization has chosen to widen the scope of the Service desk to expand upon the just IT-related issue and use the service desk as a focal point for other types of requests for service. For example, a request to service a photocopier or even going so far as to include, for example, building management issue, such as a need to replace a light fixture or repair a leak in the plumbing. Next, we will learn how request fulfillment adds value to the business. How does request fulfillment add value to the business? The value of request fulfillment is to provide quick and effective access to standard services which business staff can use to improve their productivity or their quality of business services and products. Request Fulfillment effectively reduces the bureaucracy involved in requesting and receiving access to existing or new services, thus, also reducing the cost of providing these services. Let’s move on to learn about the policies of request fulfillment. In the next section, we will learn about the key concepts and terms of request fulfillment. Let us go through some of the keywords or key concepts of Request Fulfillment process. To start, let us understand what are request models? Some service requests will occur frequently and will require handling consistently in order to meet agreed service levels. To assist this, many organization will wish to create predefined request models( which typically include one or more standard changes in order to complete fulfillment activities). This is similar in concept to the idea of incident models. It is basically users being offered a “menu”- type selection via a web-based interface or request portal so that they can select and input details of service requests from a predefined list. It defines that requests should be tracked throughout their lifecycle to support proper handling and reporting on the status of requests. It means that in some situations it may be necessary to escalate requests to resolve certain situations or take further actions that are not part of the standard set of fulfillment activities. In certain circumstances, further approval may be required such as compliance-related or wider business approvals. Request fulfillment must have the ability to define and check such approvals where needed. The actual fulfillment activity will depend upon the nature of the service request. Some simpler requests may be completed by the service desk, acting as first-line support, while others will have to be forwarded to specialist groups and (or) suppliers for fulfillment. The service desk should monitor and chase progress and keep users informed throughout, regardless of the actual fulfillment source. When the Service request has been fulfilled it must be referred back to the service desk for closure. The service desk should check that user is satisfied with the outcome. So far, we have learned the cycle of fulfilling the request. Next, we will look into the activities and technology. Fulfillment work on service requests should not begin until a formalized request has been received. Service requests should mostly come from the service desk, but it is not unusual to have requests that come in from other sources such as RFCs, email, an automated web ordering interface or phone call. All service requests must be fully logged and date/time stamped, regardless of whether they are raised through a service desk, RFC, telephone call or email. Requests must also be initially validated. This includes validating the source of the request and that the request is within the scope of the IT services being offered. Part of the initial logging must be to allocate suitable request categorization coding so that the exact type of the request is recorded. This will be important later when looking at request types/frequencies to establish trends. These trends are used in determining how services are being used, which requests are the most frequently asked for and other ITSM activities. Another important aspect of logging every request is to agree and allocate an appropriate prioritization code as this will determine how the service request is handled both by support tools and support staff. No work should take place to fulfill a request until it has been properly authorized. Simple authorizations can take place via service desk alone or as pre-authorized requests based on the request type. At this stage, the request is reviewed to determine the proper function that will fulfill it. In many cases, the service desk function may perform all needed fulfillment activities. 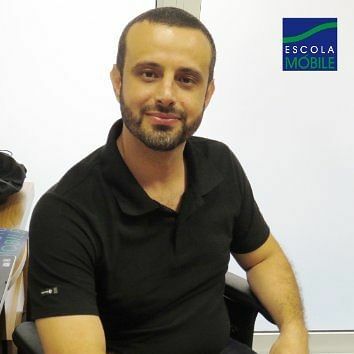 In other cases, the requests may be escalated to other functions that perform specialized activities to fulfill them. It is wise to have predefined rules about if and when a closed service request can be reopened. It might make sense, for example, to agree that if the request needs to be reopened but that beyond this point a new service request must be raised. In the next slide, we will look at triggers of request fulfillment. There is a strong link needed between request fulfillment, and release and configuration Management – as some request will be for the deployment of the new or upgraded component that can be automatically deployed. Upon deployment, the CMS will have to be updated to reflect the change. Where appropriate software license check (or) updates will also be necessary. Let us now learn about inputs and outputs for request fulfillment process in the next section. As we all know every process has its own set of inputs and outputs. Next, we will look at the interfaces of request fulfillment. Some organizations may choose that all requests are handled via this route – but others may choose to have a separate process, for reasons may vary. A strong link is also needed between Request Fulfillment, Release, Asset and Configuration Management – as some requests will be for the deployment of new or upgraded components that can be automatically deployed. In the next section, we will learn about information management of request fulfillment. Information is very critical for the functioning of any process/business. Request fulfillment is dependent on information. The date and time when the request was logged and the last step will be closure. In some cases, the request fulfillment process will be initiated by an RFC. This is typical where the Service request relates to a CI. The Service Portfolio is to enable the scope of agreed service request to be identified. Security Policies will prescribe any controls to be executed or adhered to when providing the service, e.g., ensuring that the requester is authorized to access the service, or that the software is licensed. Merely managing information will not ensure smooth functioning of the IT service. In addition to this, the process needs to be measurable. The next section talks about request fulfillment metrics. Level of client satisfaction with the handling of service requests (as measured in some form of satisfaction survey). Let us now look at the challenges of request fulfillment. Let us also look at the risks of request fulfillment. Let us look at the Critical Success Factors (CSF) and Key Performance Indicators (KPI) of request fulfillment in the next section. Nervous about your interview? 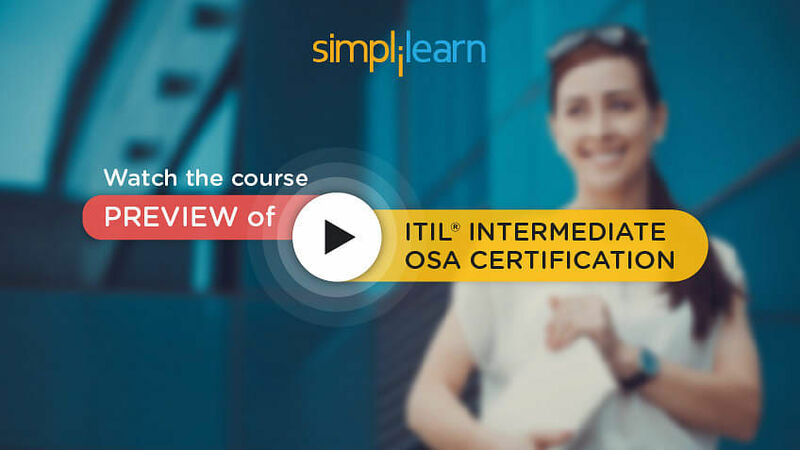 Enroll in our ITIL OSA Course and walk into your next interview with confidence. Each organization should identify appropriate CSFs or Critical Success Factors based on its objectives for the process. Each sample CSF is followed by a small number of typical KPIs or Key Performance Indicators that support the CSF. These KPIs should be adopted with careful consideration. Each organization should develop KPIs that are appropriate for its level of maturity, its CSFs and its particular circumstances. In this lesson, we discussed the Request Fulfillment process along with its policies, principles, concepts, activities, methods, request models and techniques in relationship to OSA practices and information management. The next lesson talks about Problem Management.